The Association of Fundraising Professionals (AFP) is committed to developing and maintaining a diverse organization that reflects, is responsive to, and embraces the diversity of the communities we serve; respecting and valuing all people. The Diversity committee works to ensure the IDEA principles are a priority within our chapter and the Louisville community. The committee organizes programs and initiatives focused around Inclusion, Diversity, Equity and Access. Most recently, the committee hosted Walter Woods, CEO of Humana Foundation, to lead a discussion on how fundraising professionals can promote a more diverse, inclusive, and equitable philanthropic culture and Louisville community, and how this aligns with his vision for the Foundation. To view slides from this presentation, please click here. The Diversity committee is looking for new members! 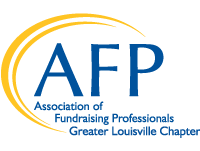 If you would like to become a member of our Diversity committee, please email us at AFPGreaterLouisville@gmail.com. If you are interested in applying for AFP membership through our Diversity Scholarship, please click here to review the guidelines and access the application.